Nori is a modern design table which can either be fixed or extended with multiple possibilities of finishes and colours. The legs are available either painted or in anodised aluminum, creating sharp lines to really create an impact in your home and a great talking point for guests. The tabletop extremely thin and lightweight, but still very resistant, thanks to the high quality materials used. 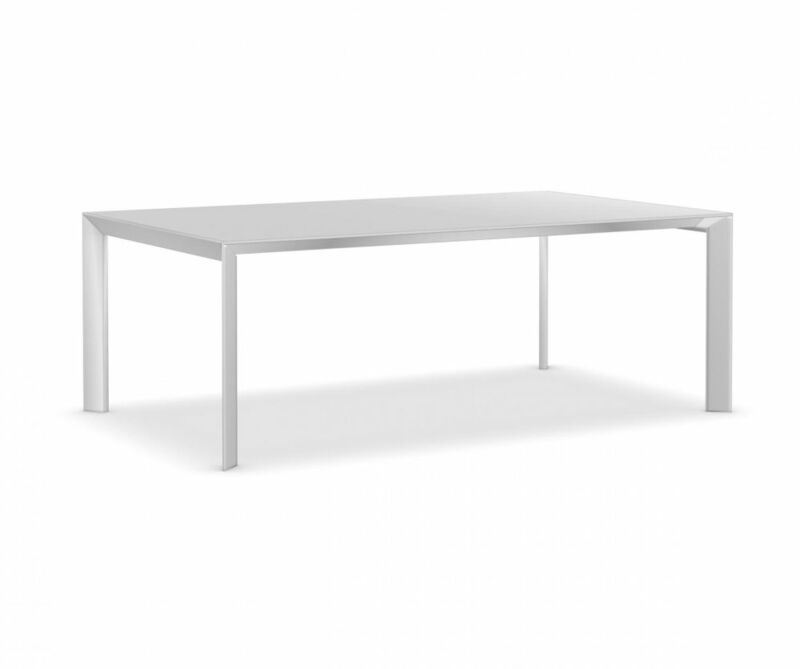 The table will work in all types of décor and can even become a desk design with the insertion of a cable hole. The colour choices mean that no matter what style your home is, you can find the perfect table to suit, and the modern table design will fit into any room in the house. The options of different leg choices also add to the design element and really makes it a unique and interesting design concept.